Inadequate sleep impacts all dimensions of life, personal and professional alike. A recent study used economic data to quantify lack of sleep effects in the short and long-term. Global health issues are transitioning to mimic changes in social and personal determinants of healthcare across generations. Sleep has increasingly become a topic of concern, presumably due to the heavy integration of technology, social media, and digital entertainment in daily activities. 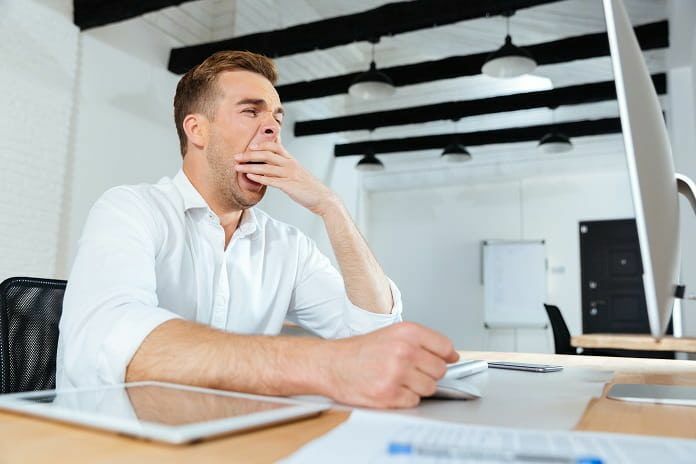 Several research studies have also noted upward trends in the prevalence of sleep-associated diagnoses including obstructive sleep apnea and insomnia. Sleep is a vital component of biological processes within the human body and facilitates learning, performance, memory, and emotional stability. Lack of sleep effects may include impairment in attention span, cognitive function, psychomotor function, and mood regulation. Translated into a professional environment, these effects are attributed to an inability to process information, hindered logic and judgment, loss of emotional capability, reduced focus, and compromised motivation. A decrease in the amount of sleep is also significantly associated with an increase in the risk of diabetes, depression, heart conditions, and mortality. Economic cost is a common measure of the negative effects of a lack of sleep across all the mentioned parameters. A recent Australian study published by Oxford’s Sleep Research Society used financial data to quantify the cost of losing sleep. The interdisciplinary study outlined that the lack of sleep effects includes increased expenditures, providing compelling evidence for policymakers, government officials, and health professionals to address this global health concern. Researchers built a data set comprised of literature searches from 2016 to 2017 accounting for the prevalence of inadequate sleep and estimations of economic costs. They assessed financial impacts with respect to the following categories: costs relating to the diagnosis and treatment of medical conditions associated with a lack of sleep, costs of losses in productivity due to inadequate sleep, monetary impact of informal care provided by families, and welfare payments. The study also recorded any non-financial costs linked to a lower quality of life. The researchers employed the population attributable fraction (PAF) method to determine an odds ratio connecting the prevalence of inadequate sleep to the respective economic outcomes. The results indicated that an overall economic cost, as a result of sleeping problems within the Australian population, can be estimated at around $45 billion for the 2016-2017 year alone. Of the total estimate, approximately $160 million was assigned to direct medical care for sleep-related disorders including insomnia, obstructive sleep apnea, and excessive daytime sleepiness. Productivity losses totaled $12.19 billion with the leading productivity concern of reduced employment costing the nation $5 billion. The families of patients with sleep disorders spent $410 million in informal care in total across Australia. An additional $2.5 billion was accounted for by non-medical costs of workplace injuries and other accidents resulting from a lack of sleep. Deadweight losses in the form of welfare payments, the country’s health expenditure, and company taxes amounted to $1.6 billion. Due to lifestyle factors such as technology use, work environment, and daily activities, inadequate sleep has become a growing obstacle for public healthcare in many nations. The results of this research study provide a compelling argument to increase national health expenditures on both preventative and curative treatment for sleep-associated disorders. This investment in public healthcare will benefit from being largely targeted towards the next employable generation to reduce further productivity losses in the future. Projects aiming to increase awareness of the importance of adequate sleep may also have a positive impact on the population’s overall health.